I think it would be helpful if there was a separate way to add/store images/videos related to a reference that isn't by Local File or Internet Addresses, so it is maybe stored in a different folder and seen (scrolled) in a different way. Sometimes I clip screenshots of tables and figures from books and save them separately as image files, then add them as local files. I would not mind being able to see all the different images separately than having to scroll through or skip over the other files and internet addresses. Also, if Citavi were to keep them all in this list in the center panel, under "reference," then it may be useful to have an overall higher level option to click on and see all appear in the right panel like in Windows explorer, with the option to view by type or to increase or decrease the size of the thumbnail. There could also be a tab in the middle panel by Quotations named Media. PS. While this seems less likely, a collaboration with a service or a tool akin to Gyazo would be cool. Gyazo allows you to capture images or short video clips and saves them in perpetuity (if you have an account) but the reason I originally thought this would be good for Citavi is because Gyazo attempts to identify where the image is from and automatically tags it. 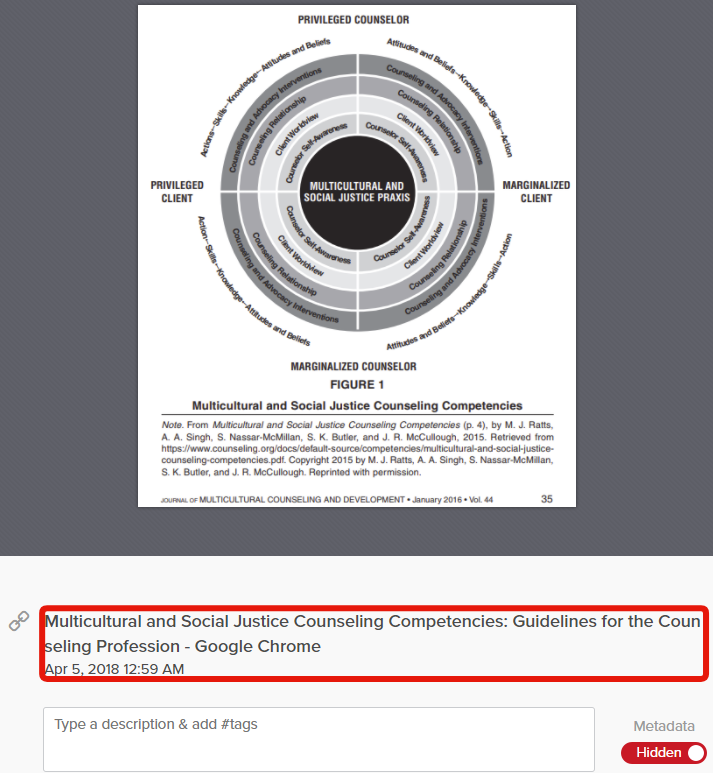 For example, below, the first time I copied this figure it was from my Citavi screen, and the second time it was from the browser. I did not type the tag immediately underneath the image but Gyazo inserted the text shown in the red square. Citavi could do something similar and automatically link/attach without the person having to add it or to automatically add keywords (if the person wants automatic tagging/keyword assigning). 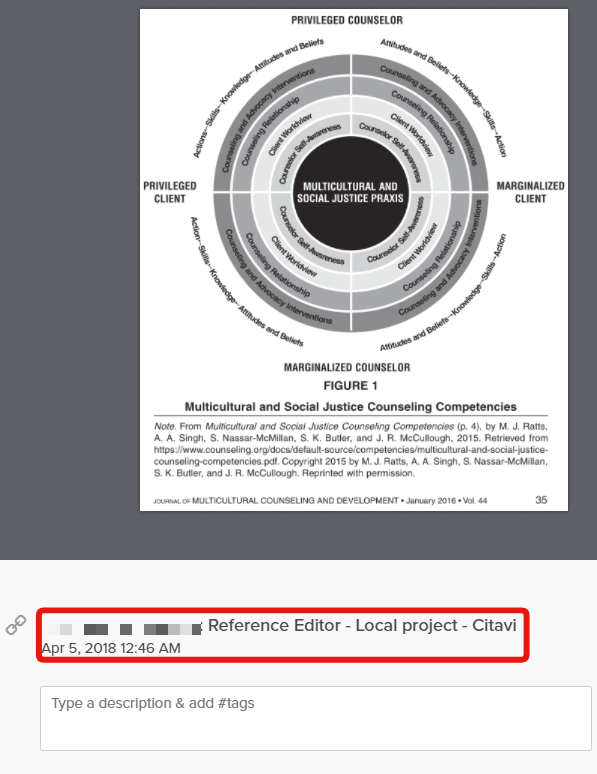 If the media copied through a tool integrated in Citavi, from the right pane, then Citavi would already know to which reference this media should be attached. Thank you for your detailed suggestion. However, we are still not entirely clear on what the implementation and usage scenario could be. Are you suggesting that Citavi should include a file manager pane?